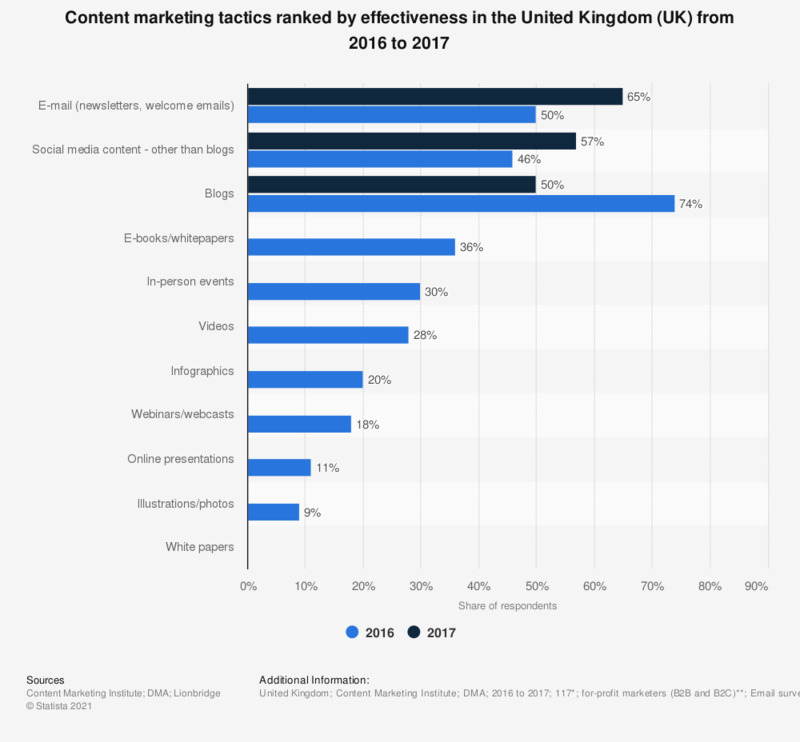 This statistic displays a ranking of content marketing tactics by effectiveness according to marketers who used them in the United Kingdom (UK) from 2016 to 2017. In 2017, e-mail (e.g. e-newsletters, welcome letters) were ranked most effective, with 65 percent of marketers ranking them as most critical to content marketing success. * n (July to August 2016) = 78; n (June to July 2017) = 117. ** In 2017, marketers were contacted using lists from Content Marketing Institute, MarketingProfs, The Association for Data-driven Marketing & Advertising (ADMA), WTWH Media and Technology for Marketing (TFM). How often in the last 12 months have you been to an archive centre or records office?